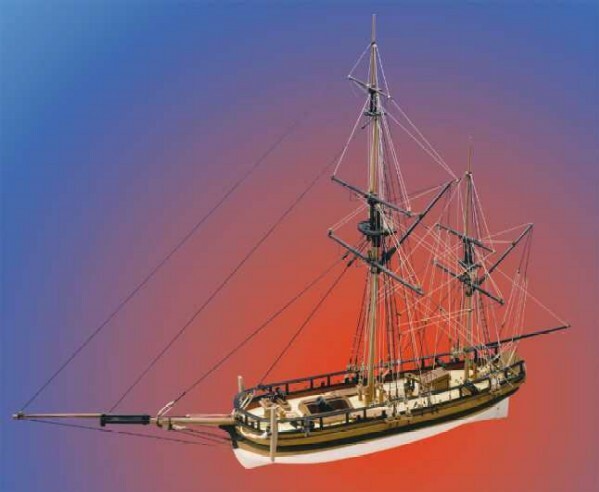 Jotika 9012 Nelson’s Navy HM Vessel Convulsion 1:64 scale wood ship kit! 10\” Mortar; Four 18pdr carronades; Walnut CNC cut parts; Double plank on bulkhead construction; Black & natural hemp for rigging. Full size plans along with a comprehensive instruction booklet make this attractive and unusual vessel ideal as an introduction to plank on bulkhead modelling. Convulsion is a ketch rigged mortar boat. She was built in 1804 at Rotherhithe and commissioned for shore bombardment duties. She was over 60ft long and had a displacement of 76 tonnes. She was armed with one 10 inch mortar and four 18 pounder carronades.